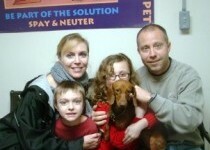 This is Mallie with her new family. Pennie and I pulled Mallies 2 weeks ago the day she was going to be PTS. She is just an amazing loving dog. Chloe Finds a Family. 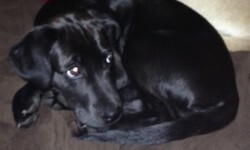 Chloe was an owner surrender from VAC. 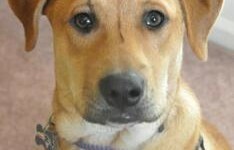 She has been at Atlanta Pet Rescue for a couple of weeks. 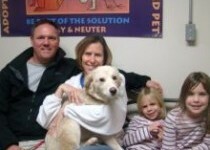 Finally she picked a wonderful new family! 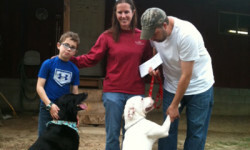 Atlanta Pet Rescue has found a wonderful new home for our three legged OLLIE.